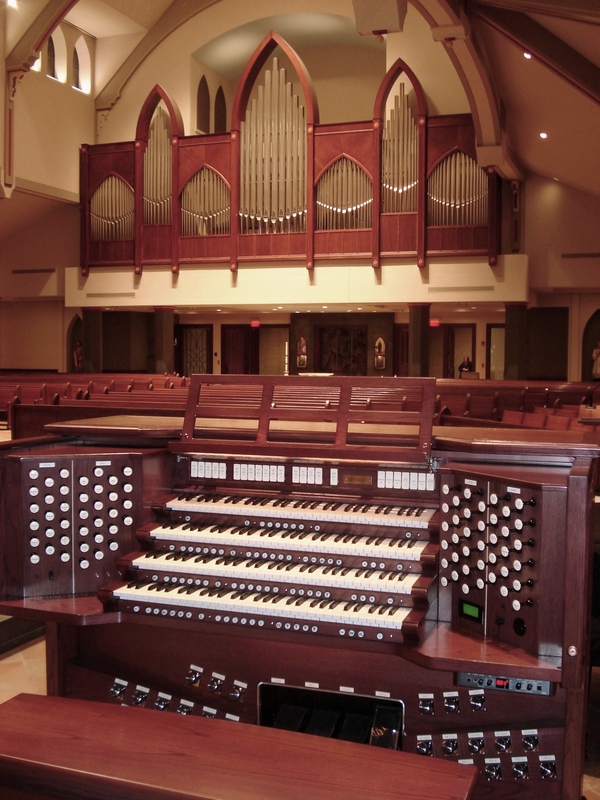 a collaboration between organists and instrumentalists. In addition to the numerous performances in their home in southeast Texas, they have presented concerts nationwide in over 17 states. A short list of their many performance locations includes St. Patrick’s Cathedral in NYC, The Basilica of Saints Peter and Paul in Maine, the Mayo Clinic Medical Center in Rochester, Minnesota, Washington Music Festival in Port Angeles, Washington, West Point Military Academy, and Myers Park United Methodist in Charlotte, North Carolina. They also presented a wildly successful headlining program for the L’Organo Series at the Piccolo Spoleto Festival in Charleston, South Carolina in May of 2015, where they performed the formal dedication concert for the new organ at The Citadel, and set a new record for the largest crowd for in the over thirty-year history of the series. In August of 2018, Deux Voix toured Denmark, Sweden, and Norway as a part of their Scandinavian Tour, and was a featured artist for the International Organ Festival in Bergen, Norway. In their mission to expand the world of trumpet and organ, Stephen and Justin are constantly adapting works from other genres and instrumentations, such as jazz, Broadway, opera, and current popular music. They also have premiered many new works written for trumpet and organ, including commissioned works by composers such as Mark Hayes and Craig Courtney.